+ I've never done anything like this, but it sure looks fun. Can I do this and what age can enter? Yes! We encourage even first time racers to participate and challenge themselves. It's about fun! Ages 14 - 60+ can run in the regular course. + Is it going to be awesome and should I invite 12 crazy friends? Yes, and Yes! Everything is always better with friends! + I am not a super athlete is this too hard for me? 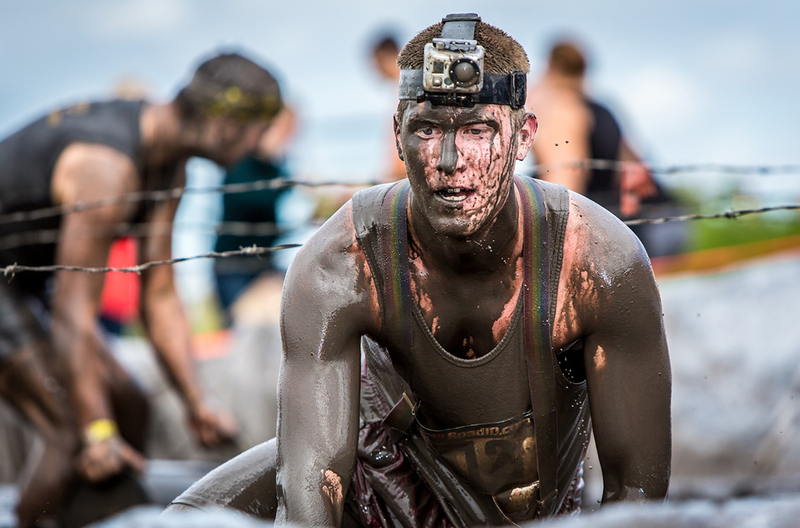 The idea of an obstacle run is to challenge yourself. Sometimes even others work together as a team to accomplish the most difficult tasks. This race can be completed without ever running a step. The Dirty Donkey is more about perseverance though the course and various obstacles than it is about fitness. Always race within your fitness level. The "running of the Donkey" course length will be approximately 5 km. Finishing time will depend on how long you stay and play in the mud along the way. This year there will also be 1 KickASS heat featuring a course with some tougher obstacles. + Will parking be available? Yes but car-pooling is highly encouraged. Parking is managed by Assinboia Downs and is $10 per vehicle. + This looks crazy... is it safe? While most people don't do this kind of thing everyday, every precaution is taken to get you to the finish line safely. It is each individuals responsibility to be safe. However our first aid team will be on site in case of an emergency. You enter at your own risk. + Will there be beverage gardens? Yes, there are alcoholic & non alcoholic beverages available for sale. Food will also be available for purchase. + Is there be an admission fee just to watch? + Will there be a first aid station set up? + Will there be multiple races in one day if I want to join more than one team? Yes, you can race more than one time but you must register for each time you wish to run the course. + Can I wear a bathing suit or something more protective? As long as you are clothed, you can wear whatever you want! And yes! We do encourage coming in costume! + Will there be showers to rinse off after? Yes there are showers available post-race. + Will there be a place to store my valuables during the race?